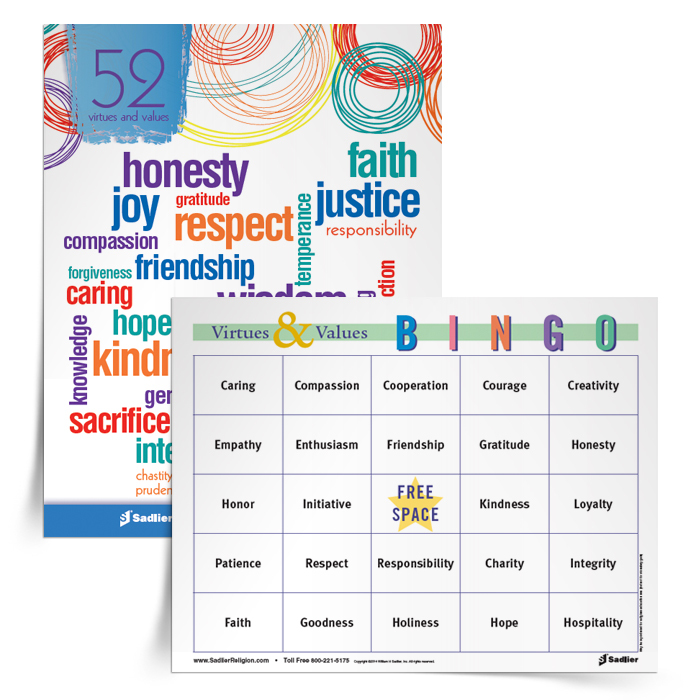 Engage students as you teach them about Catholic virtues and values with a colorful handout and Bingo game featuring 52 virtues and values, one for each week of the year. Families will join in the fun and conversation when you send extra copies home. Fill out the form to download Virtues & Values Bingo Game now.